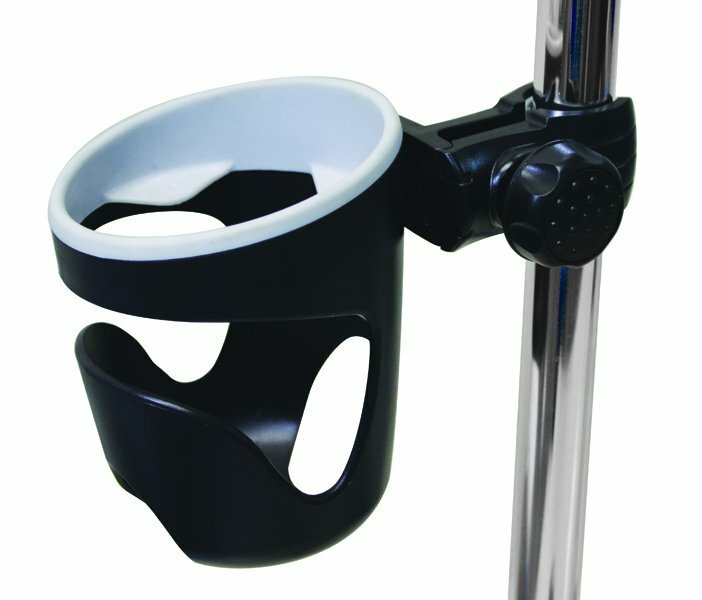 This Wheelchair Cup Holder will make a handy addition to your gear, allowing you to stay hydrated while on the go. It will fit most any drink, whether in a cup, can or bottle, offering you versatility in what you take with you. The single cup holder is easy to attach with included hardware and does not require tools for installation. It will fit almost any diameter wheelchair or transport chair and most walkers. The drink cup holder is made of highly durable and flexible plastic that will last.